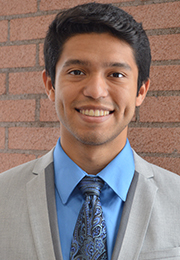 Gerson Galdamez is a first year doctoral student at the Davis School of Gerontology. He completed his undergraduate degree in Human Aging and Development at USC in 2016, during which his research focused on economic security in late life among Latino immigrant groups. This research primarily involved detecting income dynamics across the lifecourse, and how these dynamics vary by citizenship and ethnicity. His current project involves an analysis of occupational standing as a measure for socioeconomic disparity in Latino groups.